24th April 2010: The Time of Angels. Writer: Steven Moffat. Director: Adam Smith. Producer: Tracie Simpson. River Song lures the Doctor and Amy to Alfava Metraxi, where a ship has crashed. And in the belly of the ship is a creature that can never, ever die. The Weeping Angels are back. WATCH IT IF YOU LIKE… BLINK. 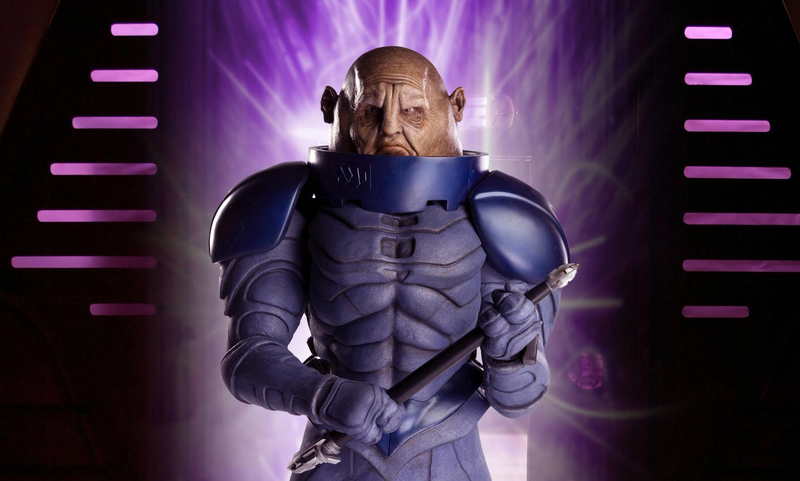 26th April 2008: The Sontaran Stratagem. Writers: Helen Raynor. Director: Douglas Mackinnon. Producer: Susie Liggat. General Staal of the tenth Sontaran battle fleet. WATCH IT IF YOU LIKE… THE TIME WARRIOR.